Cute colonial with all the amenities you need for the perfect vacation. Welcome to the Lake, where you can enjoy fun family times in this grand center hall colonial featuring a large game room and plenty of room for everyone. The Community beach at Cove Point Club is easily accessible and you can enjoy hours of swimming, fishing, and relaxing. The house features 4 large bedrooms, 2 full baths, and 1 half bath. The large living room is great for a family gathering and playing games. Want to have a movie night? The smart TV in the room is equipped with Netflix, Amazon Prime, and other apps for cable such as ESPN, HBO, Disney, etc. The master bedroom has a king bed and large master bathroom and is located on the main floor. The second bedroom located on the second floor has a queen and a bunk bed with a full and twin perfect for kids and parents. The middle room has a queen and is adjoined by the bunk room, which is perfect for all the little ones because it comes fully furnished with 5 twin beds and an abundance of play space. Air conditioning units are in 3 of the 4 bedrooms and in the game room in the lower level. 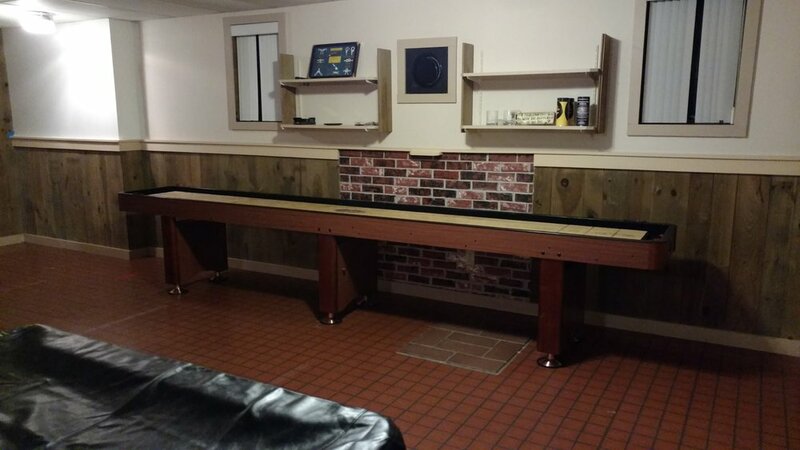 The game room (more pictures to come) will have plenty of games for kids to enjoy, as well as the "adult kids". 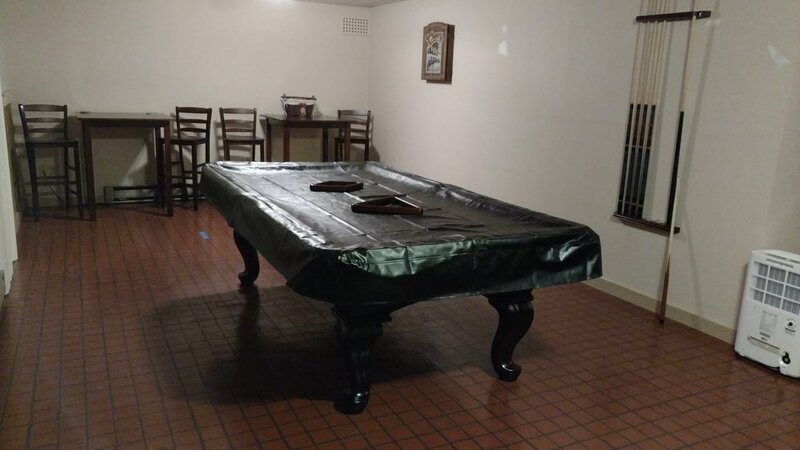 With a pool table, ping pong table, shuffleboard table, and darts, you and your family can enjoy family game night! Have a furry family member? This gorgeous home is pet friendly and provides a crate if you want to leave yours at home! The upper deck is spacious and has a propane BBQ grill and patio table. Outside the lower level, there is a firepit and pathway leading to the lake. You can access the lake right from this pathway or head over to Cove Point Club community beach for the day!